The problem of infrasound is not confined to wind farms but has arisen at Beauly substation where a whole community has been badly affected for well over a year and a similar phenomenon has been reported at Fort Augustus. For over fourteen months now people have been unable to sleep, have suffered ill health and some of those in tenanted property have moved from the area because of this noise issue. Education standards of young people resident in the area and job performance has suffered. Many local residents are on medication. All stress related due to noise. Those in owned properties are trapped. SSE are spending close to one million pounds to attempt to rectify the issue but have consistently refused access to noise data to enable our own experts to confirm whether they consider the mitigation measures feasible. And that is on only one sub station. People report that they can’t sleep, can’t have their windows open or can’t enjoy their gardens. B & B guests are already complaining about the noise and the owners are having to provide refunds. Undergrounding work as mitigation for the project has run way over schedule and the local residents and farmers have been made to suffer from this. 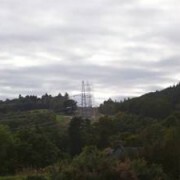 Transmission infrastructure to deal with both the increased generation and the intermittency of wind energy including both the infamous Beauly Denny and the Beauly Mossford line are simply another strain on local communities. The experience at Wester Balbair is now shadowed by that at Auchterawe and SSE are planning further substations at Tomatin and elsewhere. Each brings it’s own issues which we are only just waking up to. The new Tomatin one brings the spectre of yet more towers and pylons and wirescape to wild and beautiful areas. On top of this issue is the intermittency that without doubt caused the massive power outage to the area. 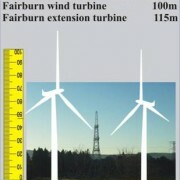 Although John Swinney stated otherwise, to the amazement of the SSE engineers, it is generally accepted that the variation of energy generation caused by a sudden drop in wind caused the outage. This is precisely what the new noisy substations have been engineered to balance but they are not all commissioned yet. Until they are we simply don’t know if they will work. Another area of concern is permitted development. 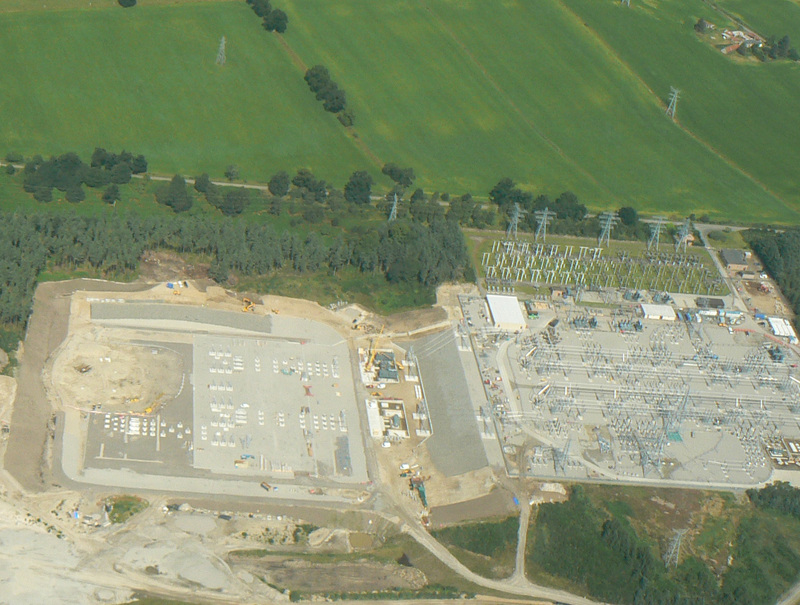 When additional plant and equipment is installed in an existing substation, SSE is under no obligation to apply for any further planning permission. Therefore no pre installation noise measurements are carried out which makes it exceedingly difficult to challenge. THE PYLONS AND OVERHEAD CABLES. Fishermen on the Beauly River have remarked on the noise and how their enjoyment has been spoiled. Will visiting fishermen return? Residents find the noise intrusive and some say it is unbearable and they have sleep deprivation. Public alerted to Åarhus and Low Frequency Noise in Sunday Times and Sunday Express Open Letters to the Department of Energy and Climate Change.